ATLANTA — The rain and clouds finally cleared late Monday night and the Mets managed to turn around a long day and a rough stretch. After dropping the first game of the rain-delayed, split doubleheader in nauseatingly familiar fashion and finding themselves at .500 for the first time this season, the Mets pulled themselves back up for a 8-5 rain-delayed win in the nightcap at SunTrust Park. The Mets (26-25) snapped a four-game losing streak and won their second of eight games against the Braves (31-22) this season. 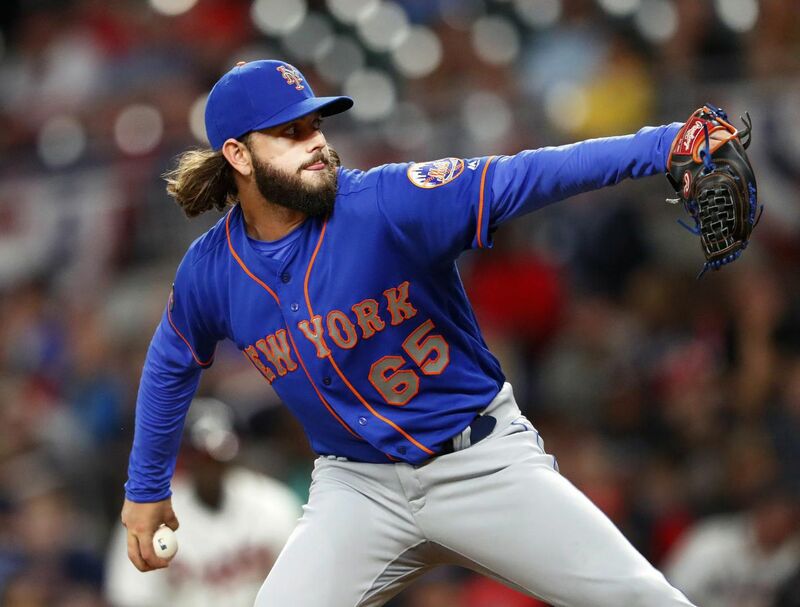 Luis Guillorme lined a single into left field to drive in two runs in the top of the seventh inning and give the Mets their third lead of the night. The utility infielder had four hits in the doubleheader. Amed Rosario went 2-for-4 on the night with three RBI and Brandon Nimmo hit his fifth home run of the season. Kevin Plawecki, in his first game back off the DL, had three hits and an RBI and Michael Conforto went 3-for-4. The Braves previously tied it in the sixth inning on Nick Markakis’ slow ground ball infield single. Adrian Gonzalez got the force out of Inciarte at home and Gsellman coaxed a fly ball out to center to get out of the inning with the game still tied. Kevin Plawecki, Guillorme and Jose Reyes chased Braves starter Brandon McCarthy with three consecutive singles and Rosario singled off side-armer Peter Moylan to drive in two runs to take the lead in the top of the sixth. And the bullpen, which has been the culprit of the Mets issues of late, pieced together seven innings behind P.J. Conlon, called into action when Seth Lugo pitched in the afternoon game. After a rain delay of two hours and 57 minutes, Conlon lasted two innings, allowing four runs on eight hits. He struck out one. Hansel Robles, just back from the DL on Monday, pitched three scoreless, Robert Gsellman allowed one run in one inning and Jacob Rhame gave them a scoreless inning. Jeurys Familia, who had not pitched since Wednesday night’s blown save against the Marlins, finished off the last two. Freddie Freeman dropped to his knees and stopped Jay Bruce’s line drive and fired to second base to get the lead runner in the top of the seventh. Luis Guillorme’s two-run single into left gave the Mets their final lead in the top of the seventh inning. Amed Rosario went 2-for-4 with three RBI in the nightcap. 2-6. The Mets record against the Braves so far this season. Hansel Robles, just activated off the disabled list, pitched three scoreless innings. He scattered two hits, walked one and struck out three. AJ Ramos and Wilmer Flores who were put on the disabled list before Monday’s first game.